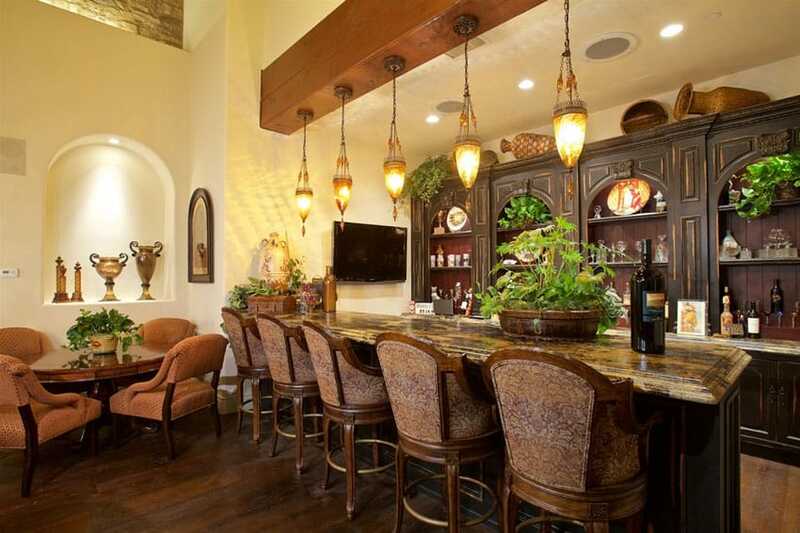 This gallery features a luxury Tuscan style house in Northern San Diego. The estate home has beautiful custom finishes and high end quality craftsmanship throughout. Sitting on almost one acre of land this estate has tons of charm and a gorgeous Venetian design. The home’s exterior is reminiscent of the Tuscan style design with antique wooden flooring, high vaulted ceilings and exposed beams. 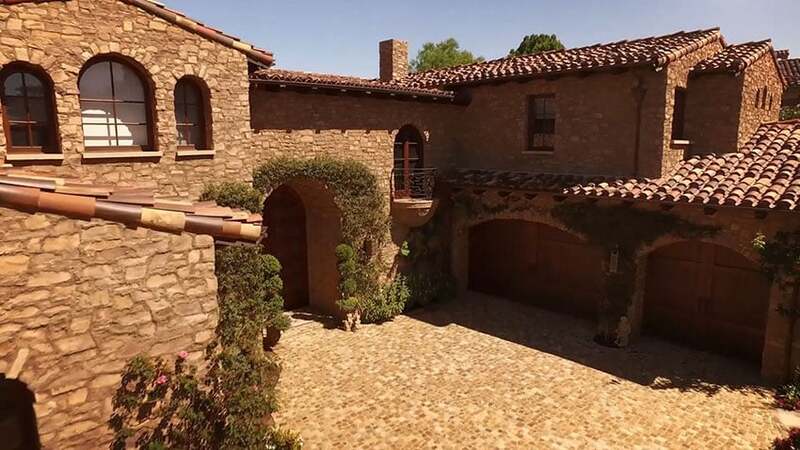 The home has 4 bedrooms and 5 bathrooms and has 8,506 square feet of living space. 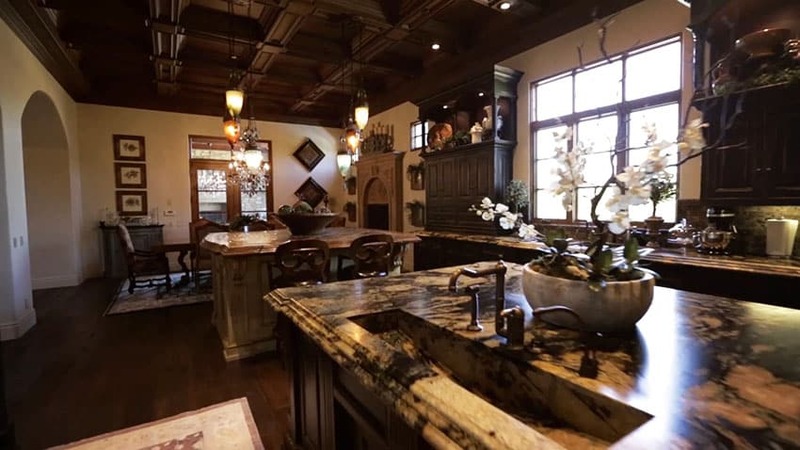 Some other standout features of the home are its indoor bar, detailed luxury Italian style kitchen, coffee nook, home office, outdoor patio with fireplace, and swimming pool with hot tub. In the image above you can see the stunning cobblestone driveway that leads to the large garage and arched doorway entrance beyond. From this perspective one can see the detail of the home’s stonework and Italian charm with its small balcony outlook and rustic appeal. Close-up view of the front of the home with mature creeping vines and Italian architecture. The small second story balcony with round arched doorway and custom wrought iron railing look like its right out of a medieval fairy tale. 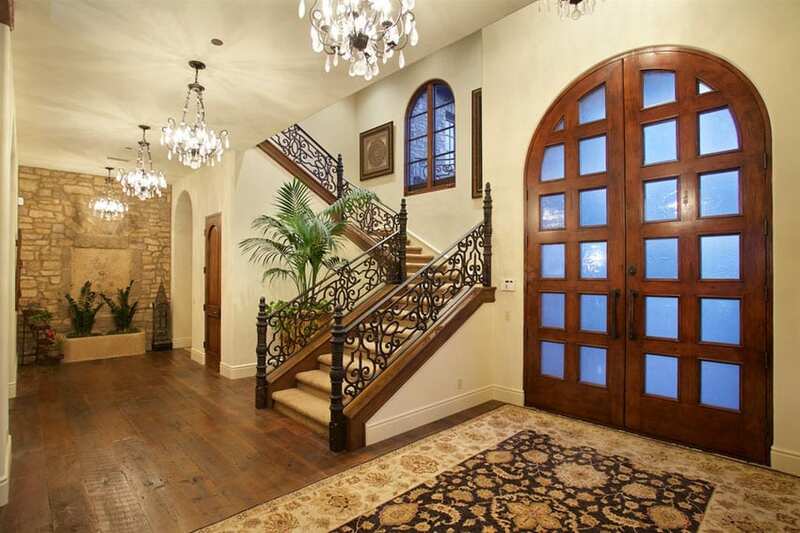 What a grand entrance through the large arched wood door with frosted glass. Once inside thee luxury foyer area you can appreciate the high level of quality from the antique wood flooring to the detailed wrought iron staircase and overhead glass chandelier lights. The rustic charm of this Italian inspired kitchen is large and fully equipped with beautiful rustic cabinetry and two large islands. One of the kitchen islands is ideal for food preparation with its granite surface and built in sink while the other makes a fine eat-in dining spot. Glass faced with distressed wood cabinetry looks elegant and matches the theme of the house. 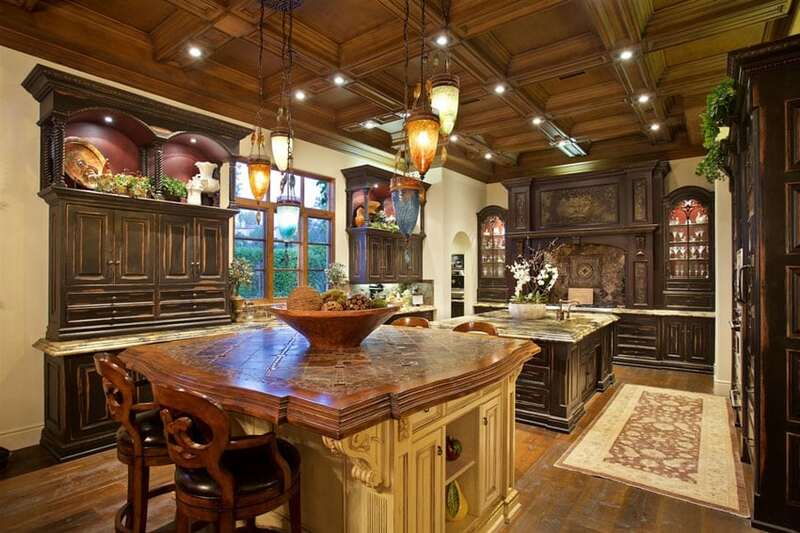 From this view of the kitchen one can see in to the informal dining area with its high coffered ceiling and chandelier. The indoor bar is large enough to accommodate five guests with additional seating area nearby making it a great location for entertaining. Luxurious pendant lights and recessed alcoves offer plenty of charm to this room. 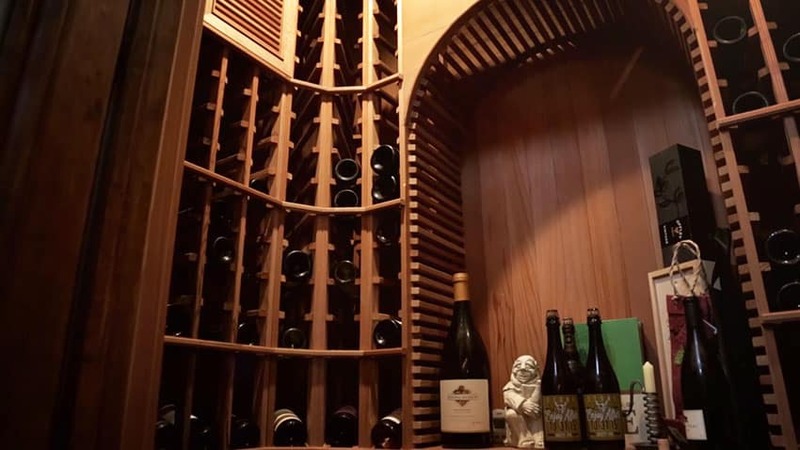 A nearby wine cellar provides room for storing your wine collection. 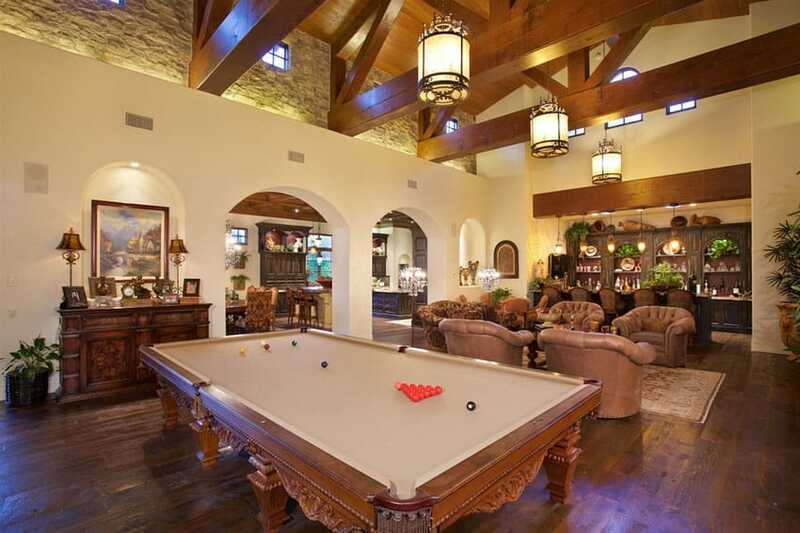 The open concept of this room flows from the indoor bar area to a lounge with a pool table. The rooms arched walls and high ceiling with exposed beams provide the feeling of sophistication and style. 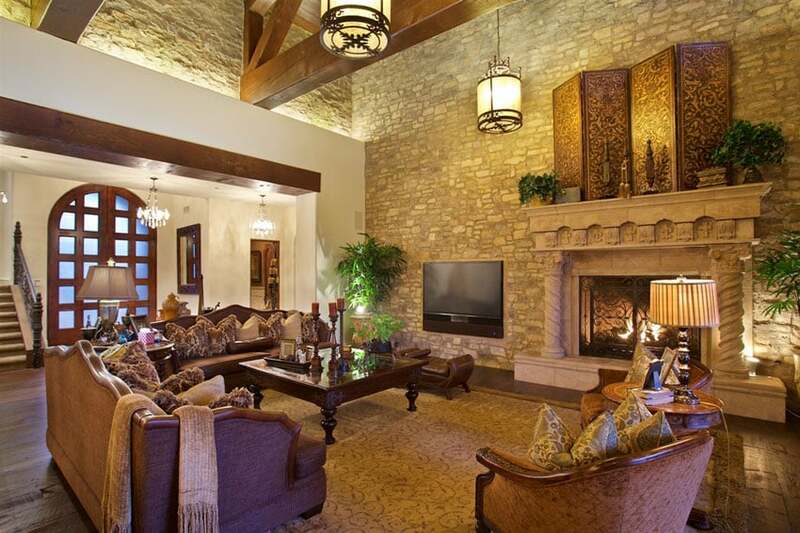 This living room space is off the front foyer entry and features a detailed fireplace with mantel. 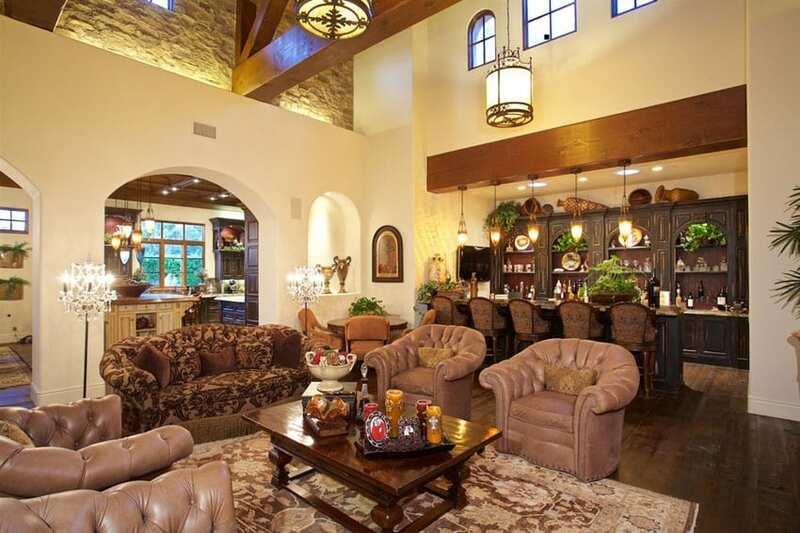 The Tuscan charm of this living room is evident with its high ceilings and impressive exposed beams. Another view of the lounge area with its access to the indoor bar and kitchen with plenty of comfortable seating and room for guests. This room is setup as an office with a writing desk, berber carpet, elegant decor and furnishings. A large window lets in plenty of natural light and a large fireplace makes a distinguished focal point for those socializing. The master bedroom suite looks stunning with it large window view with doors that open to the backyard patio. 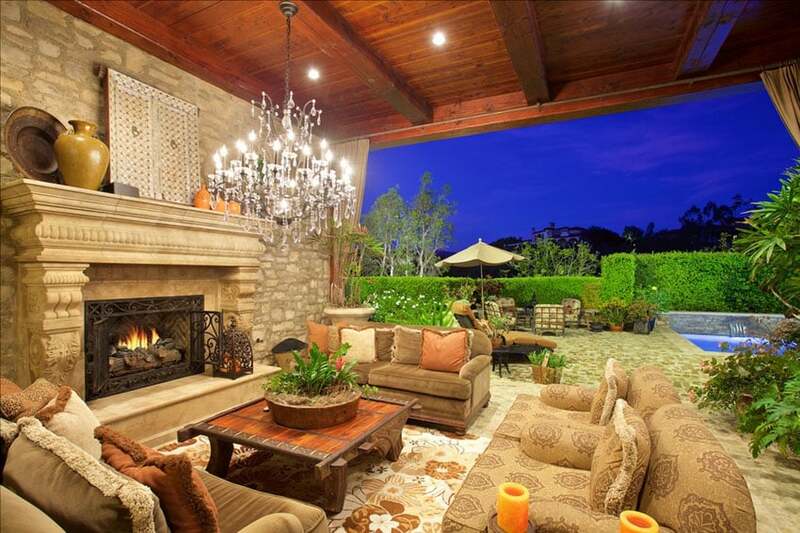 An inviting fireplace and comfortable seating make this a relaxing space to relax after a busy day. The elegant four post bed with detailed bed frame and, glass chandelier and arched high ceiling design help this room feel upscale and inviting. 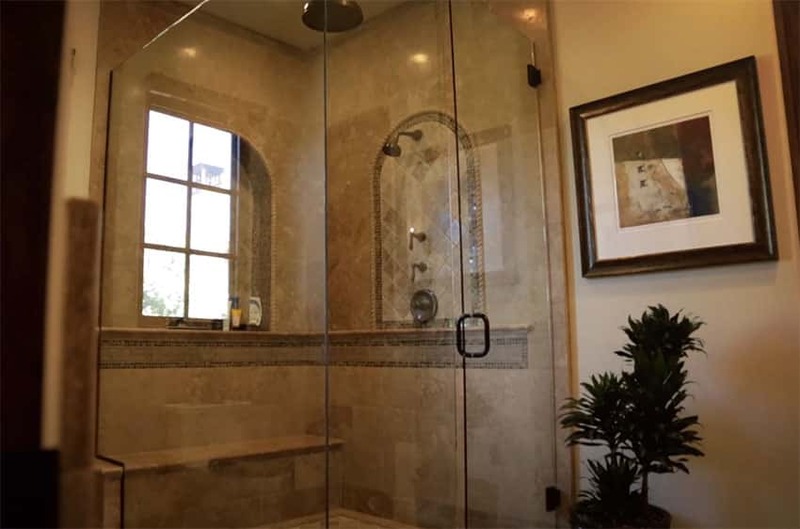 The master bathroom is well appointed with a large enclosed soaking bathtub with travertine tile and chandelier. A large window over the tub brings in plenty of natural light. 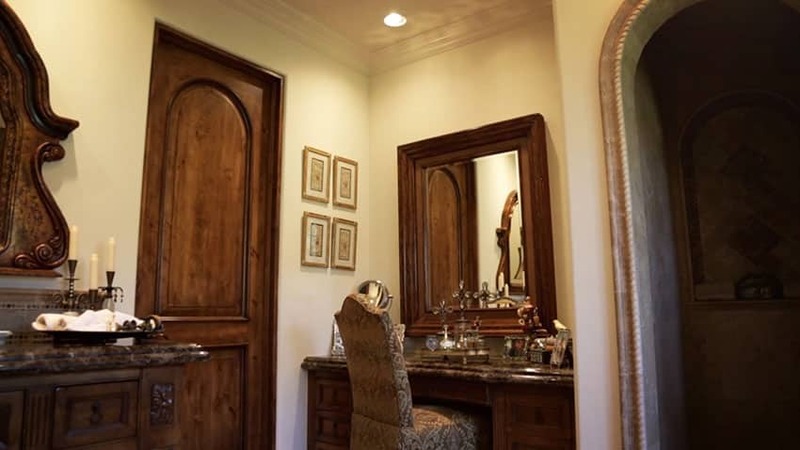 Italian style details such as the arched doorway and rustic wood moldings gives this space a luxurious and relaxing ambiance. A make-up counter sits in the corner of the bathroom and is ideal for those preparing for the day, or a night out on the town. A large rainfall shower with intricate tile work is a refreshing spot to bathe. A small bench built-in to the shower is a welcome bonus to any shower area. This guest bedroom features a beautiful window view, detailed wood bed with matching end tables, writing desk, and comfortable chairs with an ottoman. A guest bathroom with bathtub and shower with solid wood door and detailed tile that continues the Italian design style. This amazing covered outdoor patio has high end features such as the custom crafted fireplace, exposed beam ceiling, and crystal chandelier. This outdoor living room makes the perfect spot for evening entertaining and offers plenty of space for friends and family to enjoy. The outdoor patio of rustic cobblestones opens to the backyard swimming pool and hot tub with more seating opportunities and space to take in the detailed landscaping of the home. 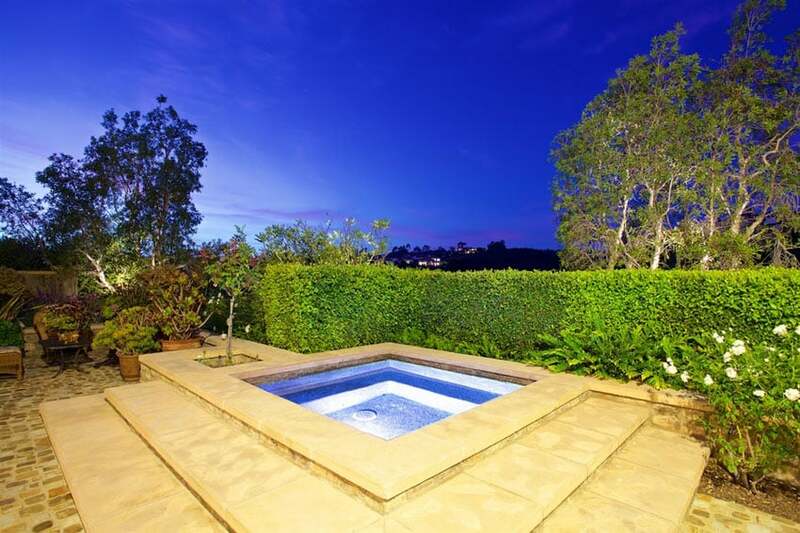 From this viewpoint one can see the hot tub with its privacy hedge and patio with outdoor furniture. The spa is accessed up three cement steps next to a variety of flowering plants. A tall hedge provides privacy day or night and is ideal for those who want a feeling of intimacy while enjoying their hot tub area. The swimming pool is surrounded by a large privacy hedge and has three water features that provide additional drama and elegance to this resort like home. 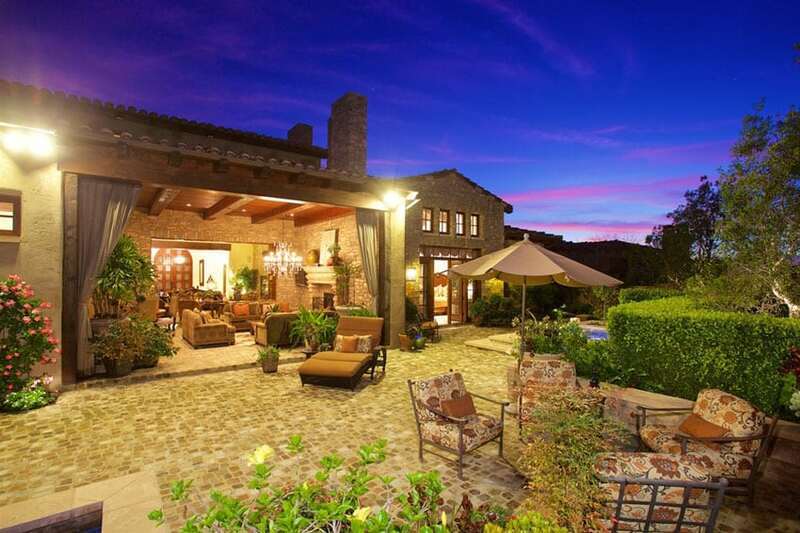 A view of the exterior of this richly appointed and furnished luxury Tuscan style house. For more information about his home contact Delorine Jackson at (858) 756-7899.